Back in the summer I ventured out the coast of North Carolina to work on a series of travel videos for Visitnc.com with fellow buddy/DP Brett Mullen. It was a busy/fun/tiring/adventurous gig covering 3 topics of popular things of that area. 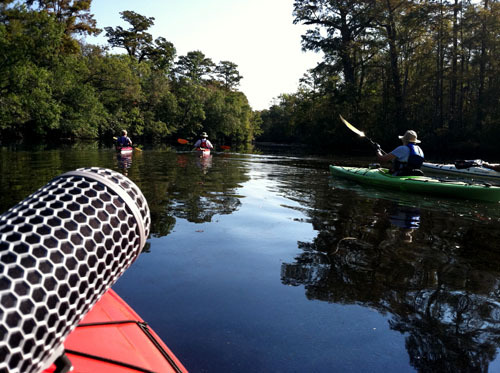 1 of the 3 topics were kayak tours. We ventured to two locations, a salt marsh off of Oak Island and then a black water creek a bit more inland. We had a tour guide for each location and various tourists taggin along. The agency over the project had 2 of their people in tow as well, lucky for me, they have awesome rowing skillz as Brett and I had jobs to do, we had no business rowing a freaking boat! The following video is the result of those hard days of work..